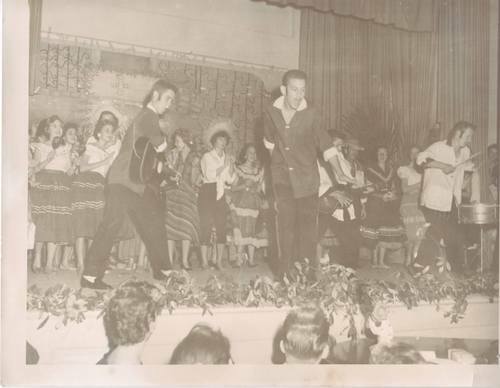 Photos from Deady Junior High: Deady 1957 Moving and Grooving!!! Deady 1957 Moving and Grooving!!! Ronny Dumesnil belts out the lead vocal (the name of the song escapes me!) while Sonny Jones on guitar and Larry Bass on drums provide a mean accompaniment. Looks like Betty Bobb provides a little maraca rhythm as well. Others seem to be clappin', hootin', and a'hollerin' to the beat as all join in the fun!! !